Founded by Paul Bath, an auto body technician since 1978, 24HR Collision Center is a premier ICBC auto body shop, offering high-quality auto body repairs in Vancouver and Surrey, BC. Our shop started in Vancouver, and we recently opened a facility in Surrey to bring convenient, professional auto body services to this growing community. Our family-owned and operated auto body shop is now managed by Paul’s son, DB, who is carrying forward the values of integrity, superior quality, and timely repairs established by his father. 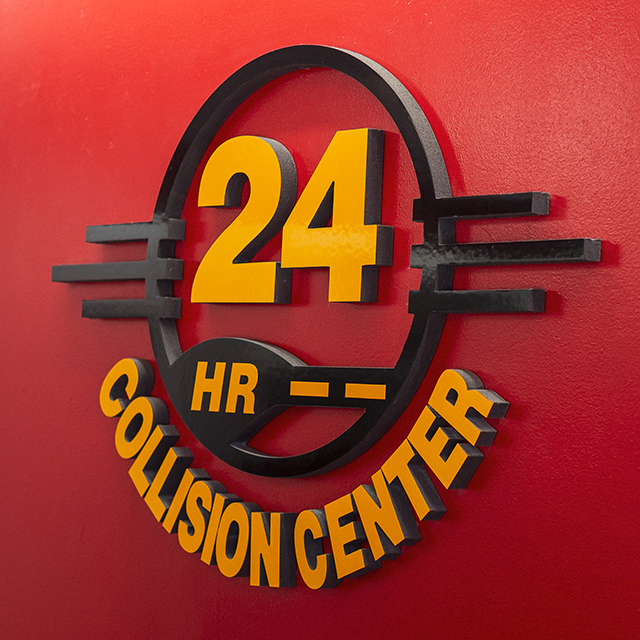 At 24HR Collision Center, we assist you in your collision claim, working directly with insurance companies to help expedite the auto body repair process. Our shops use the most advanced auto body repair technology and the highest-grade parts to ensure your vehicle is repaired to pre-accident condition and maintains its value after a collision. With multiple Master auto body technicians, our auto body repair team is also a distinguished ICBC c.a.r. VALET collision repair shop, I-CAR Gold certified, and we have many OEM certifications. After graduating from college in 1971 with a degree in Auto Body Repair, Paul was one of the early pioneers in the Vancouver auto body industry. His drive to achieve high quality and learn the newest technological and vehicle trends earned him the responsibility of operating 24HR Collision Center, catering to all corporate business vehicles around the greater Vancouver area. The company now offers the same services once reserved for elite corporations to the general public, from locations in Vancouver and Surrey, BC. DB is a recognized Marquee in the auto body industry, holding many trade certifications, including his Red Seal qualification in both Auto Body Repair and Auto Body Refinishing. Like his father, he loves to stay up to date with the latest auto repair technologies and helping restore customers’ vehicles to original—or better—condition. Seema is one of our upbeat and helpful customer service associates. She loves to assist clients by answering any questions they may have regarding the ICBC vehicle repair process. She has received numerous levels of certifications from ICBC for insurance claim handling. Our customer service associate, Jennifer, is known for her attention to detail, and she will make sure all your auto body repairs are taken care of completely and correctly. She will also ensure you are up to date on all your repairs and her helpful attitude will help clarify any questions you may have. Jennifer is fluent in Cantonese and Vietnamese. As a customer service associate, Jenna shows extreme patience when interacting with all customers. She is there to answer any questions you have about your auto body repairs and is an excellent role model for keeping customers up to date on vehicle repair progress. Jenna is fluent in Vietnamese. As one of our customer service associates, Cailiegh’s helpfulness will help guide you along the auto body repair process. She’ll answer any questions you have about your ICBC insurance and collision repairs, as she loves to interact with customers and ensure every customer leaves with a smile. Darryl is one of our Collision-certified estimators. He has over five years of automotive experience and continues to learn daily. He enjoys the various characteristics modern vehicles have to offer. Densil is a Master collision repair technician with over 40 years of automotive experience. He knows the ins and outs of any vehicle. David is another highly-skilled Master collision repair technician. He has over 40 years of experience, as well as a very keen eye for detail. Duc is also a Master collision repair technician. He has over 30 years of auto body repair experience and loves learning new things all the time. Duc is always looking forward to new projects! Yaseen is a Master refinish technician with over 15 years of experience. He loves creating the shiny finish on freshly painted vehicles. Our refinish technician, Moe, has over 30 years of experience, and he is a certified auto refinishing technician. He loves making the cars we repair have beautiful paint work. Caleb is our Master detail technician. He brings the shine and pizazz to our customers’ vehicles.